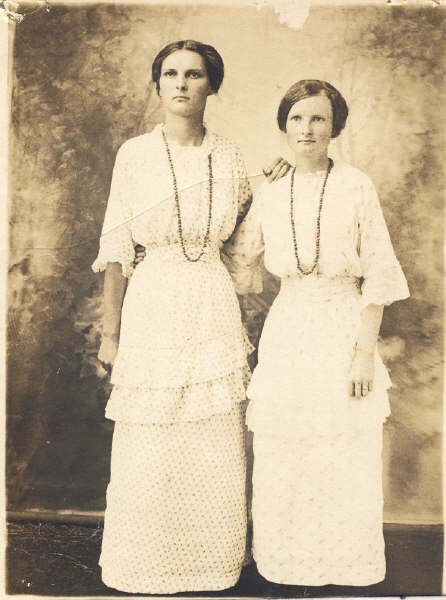 Bertha Reeves married to: Joseph Buren (Ben) Ennis in Dayton, Texas, on February 6, 1917. Bertha is on the right. Irene is on the left. Note: Uncle Ben and Aunt Bertha Ennis lived to celebrate their 50th Wedding Anniversary! They moved to Port Neches, Texas in August 1917 at which time, Mr. Ennis went to work for Texas Company in Port Neches, Texas. He retired in December of 1959 as a foreman. 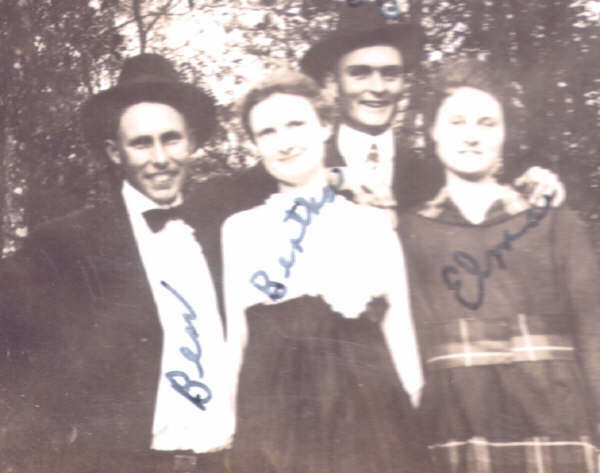 Ben and Bertha Ennis were Charter members of Central Baptist Church in Port Neches, Texas. Ben was a deacon and Sunday School Secretary in Central Baptist Church. Click ENNIS to go up to Uncle Beuron's parents. Click REEVES to go up to Aunt Bertha's parents. Click INDEX to go back to the Index.